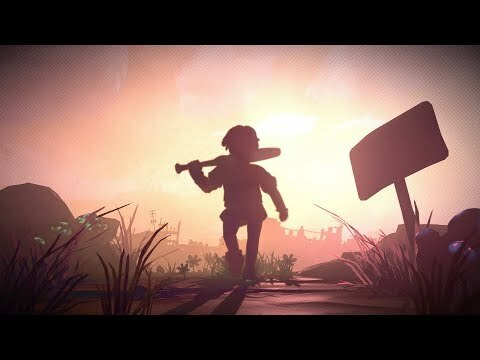 Bandai Namco and Double Fine Productions have announced that RAD, a action roguelike 3D game set in a post apocalyptic world. The output of the game is scheduled for next summer on PC, PS4, Switches, and Xbox One. A closed beta will be available on Steam from the 8th of April and you can register by reaching this address. In RAD, players assume the role of a young protagonist who has to venture into Crei, a radioactive radioactive devastated and in constant mutation, full of unknown creatures and abominations. Here you will find the solution to heal the world and transform a devastated landscape, barren in a new and lush, the source of life. But the future of humanity will also have a great personal price to pay, because the more the protagonist will go in unknown territories, the more you expose you to toxins that are dangerous will give him new and strange mutations, is not always advantageous. The fate of the world depends on the player, a trustworthy poker, and any other ability will get as the world around you will change his body… contorcendolo and mutandolo into something less than human, but much more powerful. “We are very pleased to unveil finally the RAD and the post-post-apocalypse to all the fans of Bandai Namco Entertainment in the world,” said Herve Hoerdt, SVP of Digital and Marketing at Bandai Namco Entertainment Europe. “RAD is a fantastic addition to our growing family of games developed outside Japan, thanks to a unique history, a series of interesting characters and the charm of distinctive pluriacclamati developers in the u.s. Double Fine”. “The team at Double Fine, and Bandai Namco have worked hard to get RAD together, and we look forward that our community could immerse themselves in the fractured lands of this adventure,” said Lee Petty, Project Lead. “We hope that fans will appreciate the game at least as much as we enjoyed make it”.